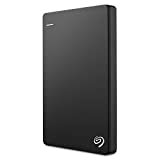 Amazon has the seagate Backup Plus slim 2TB portable External hard drive with 200GB of Cloud storage & mobile Device Backup USB 3.0 (STDR2000100) - Black for $88 with free shipping. Sells for $89+ Highest Price. Deals for $55 Lowest Price. Normally $77+.